It’s so easy to get wrapped up in the process and routine that you forget to look up from time-to-time. So much so that you may not notice or have forgotten about the tools at your fingertips – literally! We offer a great wealth of strategies, resources, and tools throughout the EzineArticles.com platform. Discover what tools you can add to your article writing and content marketing toolbox in order to accelerate your exposure today. All it takes is a click of a mouse! EzineArticles Members have a bounty of tools right in their My.EzineArticles.com account. Check them out! Did you know the Submit New Article form in the Write & Edit tab has these three great tools built right into it? Title Suggestions: Not sure what to write about? In the Title section of the Submit New Article form, enter a few keywords into the Title Suggestions search field to find unique titles that are optimized to your audience’s current needs. Use these as inspiration for your next article! WYSIWYG: Not HTML savvy? No problem. The WYSIWYG text editor in the Body section of the Submit New Article form functions like most word-processing programs, allowing you to seamlessly edit text without the need of HTML language. Scheduled Release: Available for all Premium Membership subscribers, you can choose when your approved article will be published with the Schedule Release section which appears at the bottom of the Submit New Article form. It’s the number one tool for many of our Premium Membership subscribers because this great tool gives you the control to maintain a connection with your audience whenever you want. Tracking the performance of your articles is important to your article writing success. Use the Performance tab to do just that! Category Ranking: Want to set writing benchmarks? Gauge where you currently rank in your niche by portfolio volume and set goal benchmarks by viewing your Category Ranking. There’s more to the Profile tab of your account than a place to add your biography and links! Use it to help build your brand and stay motivated. Connections: View everyone in your network and even connect with them on Twitter, Facebook, and other social media in the Connections section. Discussions: Ask for advice, share your achievements, and kick start a conversation with your network in the Discussions section. Activity: Check out your connections’ latest Tweets, discussions, and EzineArticles blog post updates in the Activity section. Widgets: Show off your recently published articles on your blog or website with this widget. I Heart EzineArticles: Proudly share your support for EzineArticles and the Expert Author community at large by adding an I Heart EzineArticles button to your blog or website. Wallpapers: Refresh your old desktop wallpaper with one of our original, fun, and inspiring Wallpapers. Find all sorts of downloadable and valuable training and reference material to help you with your article writing efforts in the Library tab. Training Series: Whether you are new or you feel your efforts are going off course, check out the Training Series for helpful tips and strategies to crafting easy-to-write articles, HTML tips, SEO methods, and more. Audio Training: Each of these 90-second episodes features helpful article writing tips, strategies, and reminders. Video Library: The Video Library contains a wide range of article writing tips, tricks, and knowledge to help you write more high quality, original articles in less time. Digital Locker: No need to memorize a combination on this locker! Any downloadable content you have purchased, like Article Templates, is stored here. Check out EzineArticles’ Expert Author-exclusive products in the Store tab! 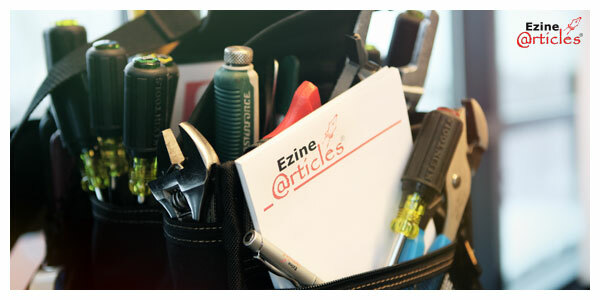 To take advantage of these amazing tools and write your first article today, sign up for a FREE EzineArticles account! Whether you’re attempting to meet a resolution to write more or to achieve a specific content-marketing goal, use tools to make your article writing efforts a little easier. What’s your favorite EzineArticles tool? Do you have any questions about any of these great tools? Let us know – we’d love to hear from you! Wow! What repository of priceless information on such a precious site! Double whammy, I guess! The article rocks and so does “EzineArticles”. I agree. This is a great summary, worth printing out and pasting up near my desk. Thanks! It gives an idea to the writer who have to write the article. We can take help with EzineArticles on how to write the best and best article?. Very Good! I did not try these tools too but they are great….i am going to try them …. Thanks for that priceless information.I have not been on the site for a couple of months,but today will see how to jump start my article writing efforts. I’ve used a number of these — but by no means all of them. I’ll have to do some experimenting. Great ! Its an informative article for Content writer. Impressive !! Very informative and helpful. This I really need to help me navigate along the way in EzineArticles.com. Thanks! very good rules and regulation of EzineArticles. One of the best things I like about Ezine is the networking. Here I found some of the most influential people in my area of interest. Keep growing EzineArticles.